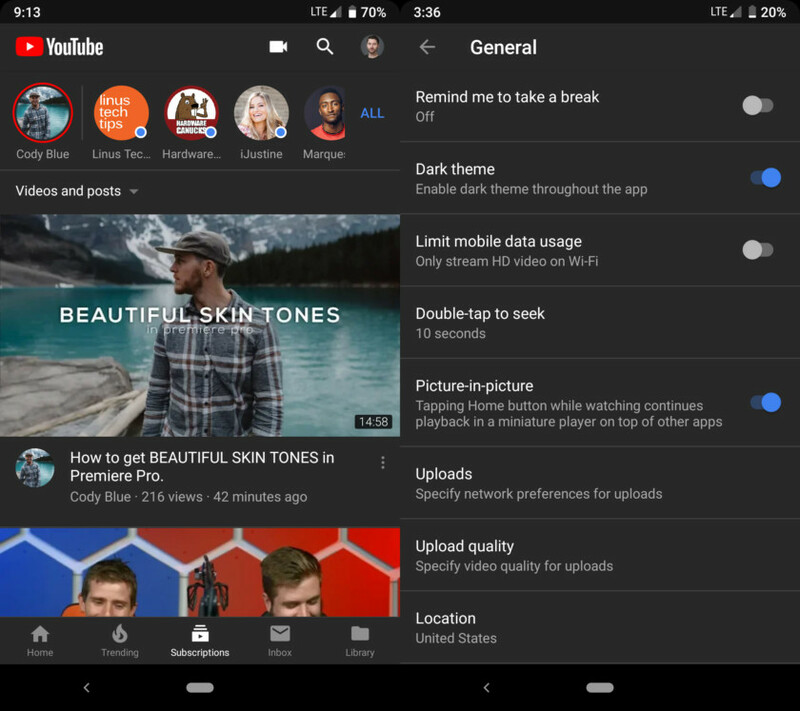 It appears so that Google is finally rolling out YouTube's dark theme for Android users. With this being accomplished, YouTube service features would finally be uniform throughout all operating systems. The Web version of the platform obtained this update in the previous year. It was then when Google announced that this tool would soon be made available to both iOS and Android users, most expectantly in March of the then upcoming year. However, it was only the iOS users who got the update; the Android was deprived of it for unexplained reasons. But now, it appears so, as per the posts uploaded by Reddit users, the feature has been launched for the people who dispossessed it previously. Judging by the number of individuals who have reported the change, it can be assumed that the experimentation phase of Google has finished, and the tool is on official roll-out. With this new update, users would be able to switch between dark and light themes, just by going to the General settings of the application, and then selecting the desired mode. People would see a dialogue box upon turning the dark theme on, providing them the option of turning it back off. It is only a matter of time before users worldwide would be able to access this new option. Until then, we can only wait and see.